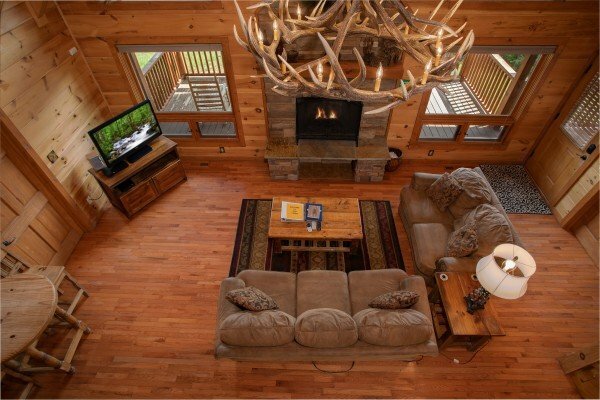 CEDAR CREEKS Douglas Lake Lodge offers guests the ultimate in view and seclusion. 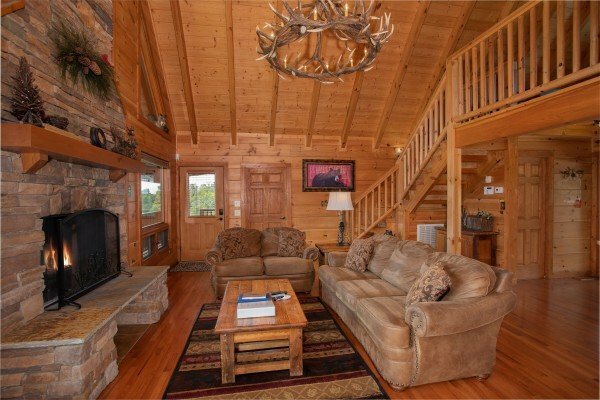 Located on 50 acres with a long, tree-lined private drive, CEDAR CREEKS is secluded and private for a unique Smoky Mountain experience. 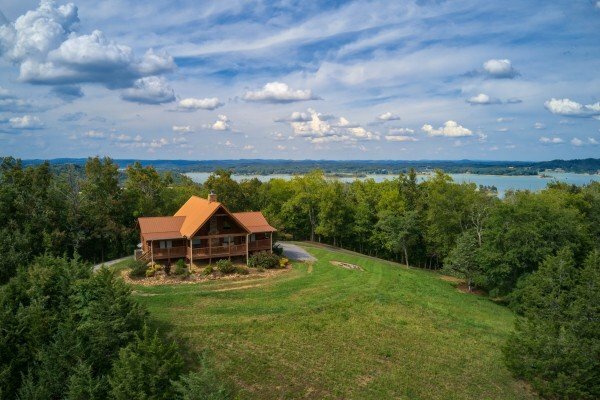 Located on the south side of Douglas Lake the home has private lake access with dock accessed by a 4 x 4 recommended private, gravel drive located on the 50 acre estate just adjacent to the home. Launch your boat and dock it during summer months, then cruise to one of the lake's local eateries. 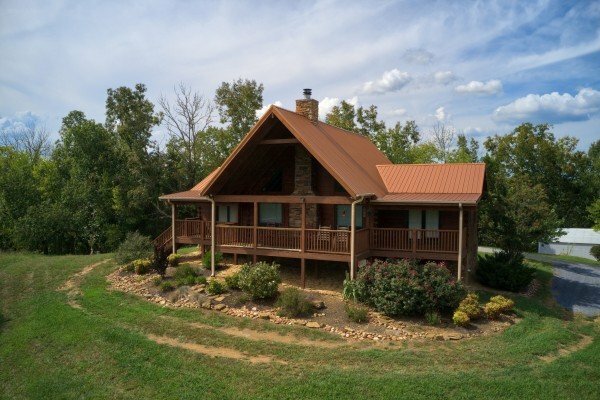 With plenty of room to roam you will love the private luxury of CEDAR CREEKS! 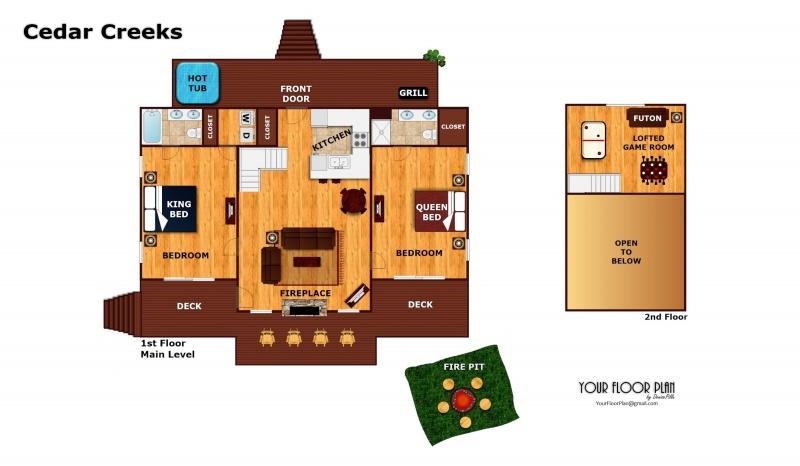 Inside custom furniture, flat screen TV's, a lofted game room, kitchen with granite countertops, and spacious bathrooms and closets offer guests all the luxuries of home. 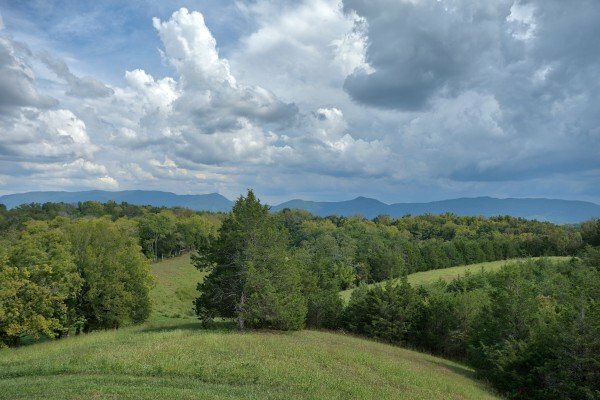 Outside an incredible mountain view across the home's open pastures begs you to stay outside and enjoy the view. Searching for some peace and quiet? Call today to reserve Cedar Creeks! The ease of check in and check out was wonderful. 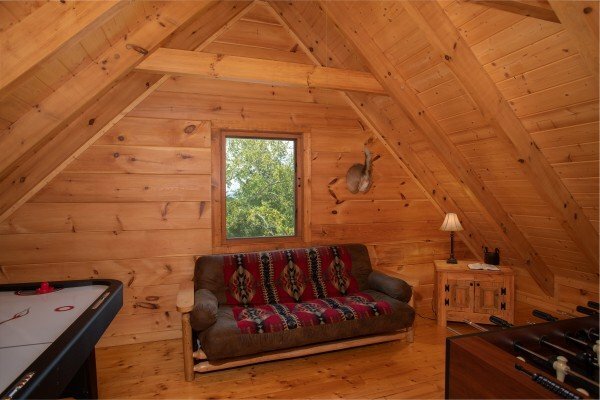 The cabin was very secluded and the views were beautiful. We enjoyed the wildlife around the cabin. We thoroughly enjoyed our stay at Cedar Creeks! The cabin and property were amazing! Check-in and check-out were a breeze with the automated system. Directions provided were easy to follow to the property. 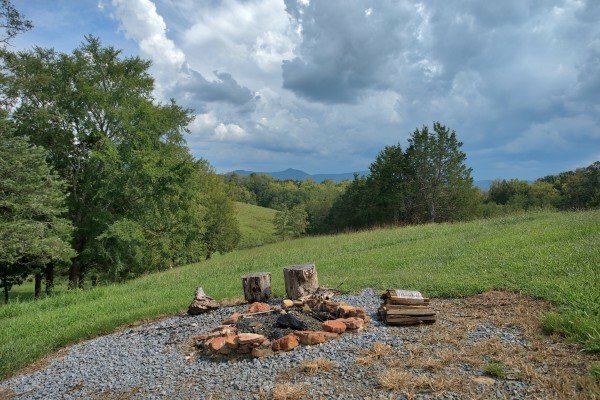 Property is extremely secluded and quiet with theexception of the birds, cows, and turkey that came to visit:)We stayed just as a couple as a quick trip away before my husbands deployment but definitely want to come back again and bring the kids next time! They will love it! We will come in warmer weather next time as well and make good use of the dock and lake! Seriously not a single complaint! Cleaning staff is amazing! 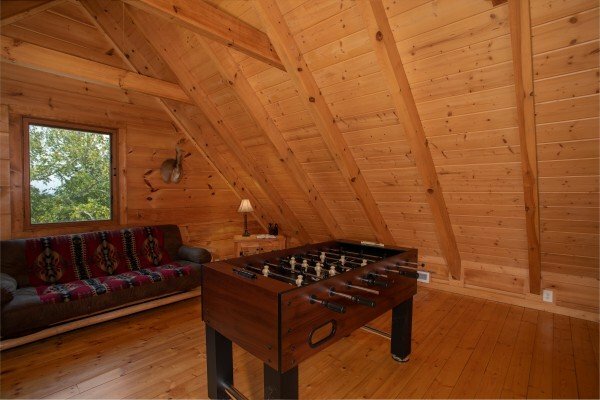 Cabin is absolutely gorgeous. 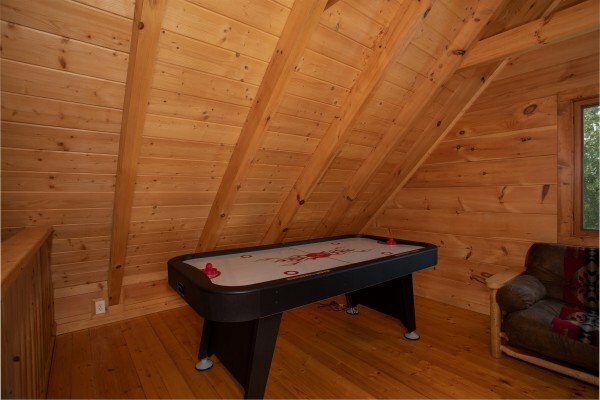 When we stayed last year at this cabin the air hockey table was disappointing, but this year there was a new one which we enjoyed using. We love the seclusion and trails around the cabin too. Welook forward to staying here again. 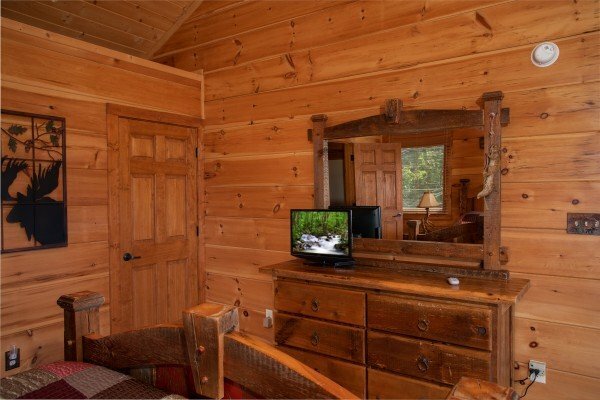 We enjoyed our stay at this cabin more than any other property that we had rented in the past. The remoteness was key for us, extremely peaceful. Fred, our dog, was able to run and play without us having any worries about him imposing on anyone else or creating any bother.We will definitely rent this property again. This place was amazing. The bird feeders were such a nice touch especially since we enjoy them at home. So quiet and beautiful out there. 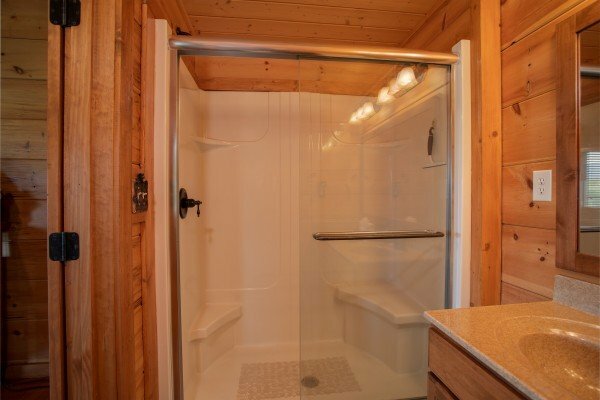 I would recommend this property to anyone wanting some amazing, quiet, relaxation! This was our first vacation as a couple and the first vacation in Tennessee. 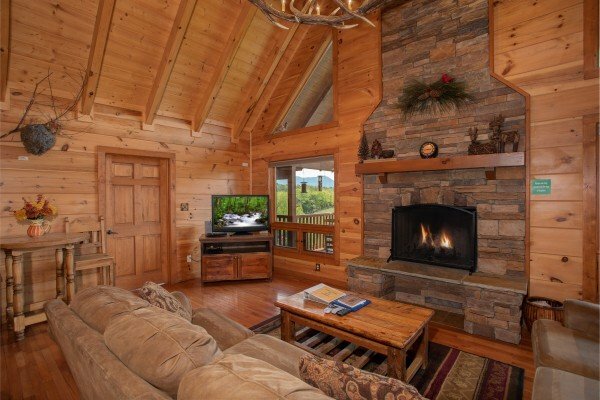 The cabin was simply amazing and exceeded our expectations. The driveway was a bit challenging and I expect in bad weather it is not an easy climb. 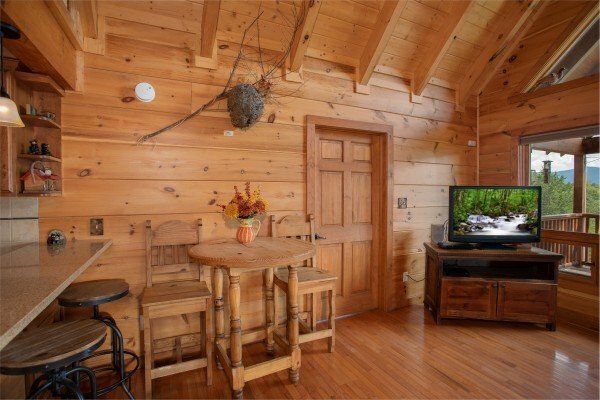 We would love to rent this cabin again. 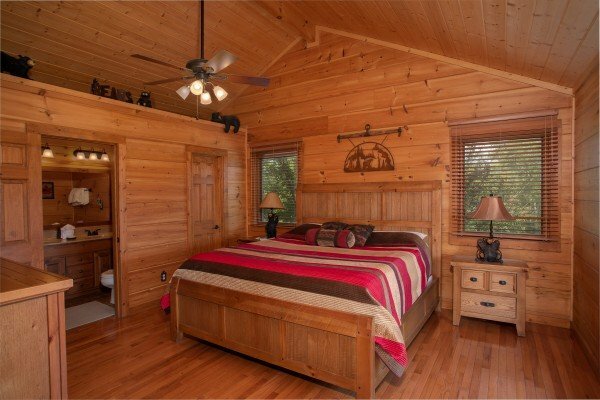 I would love to contact the owner of the cabin and thank them personally and learn more about the history of the cabin, who built it etc as we plan to retire to Tennessee some day and would love to have a similar cabin. Is there any way you can give me a mailing address for the owner or pass my contact info to them? We will definitely use American patriot getaways again and recommend it to all our friends. 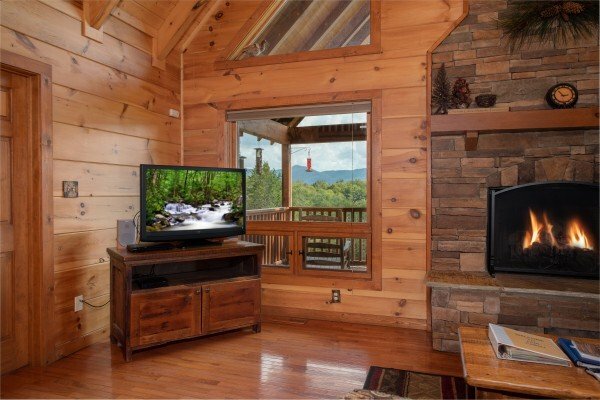 We absolutely loved this cabin! 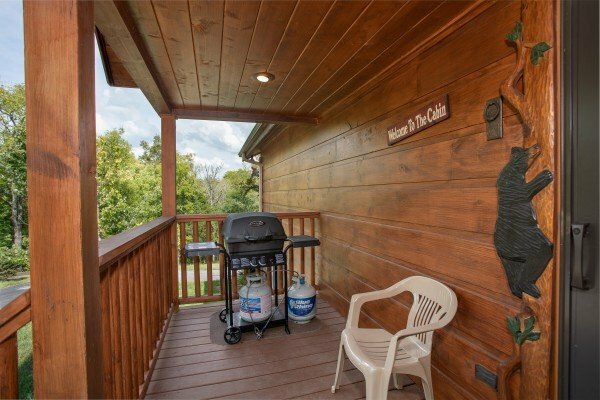 We have stayed at several Patriot getaway cabins and we have always had a good experience but this was the best so far. 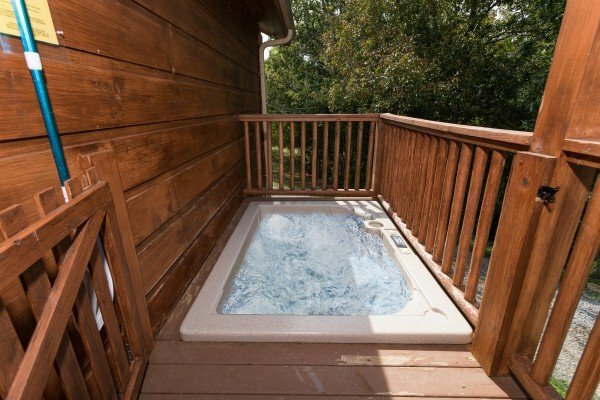 From booking being a breeze to coming into an immaculately clean cabin and when there was a slight issue with the hot tub having great help from the staff to immediately resolve the issue. 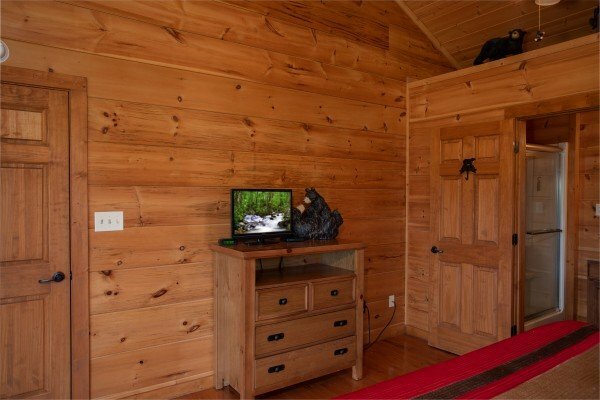 This cabin was in a very nice secluded spot as advertised and there were trails to hike around the property which we used but want to come explore some more. The owners really thought of everything we would need and we enjoyed even the little touches like the bird feeders which were filled before we arrived. The only two things that could use a little improvement were the water heater that was only good for one showeralthough the pressure was Great! Also the air hockey table could use to be replaced sometime since half of the air didnt seem to be working but we still enjoyed trying to play:). 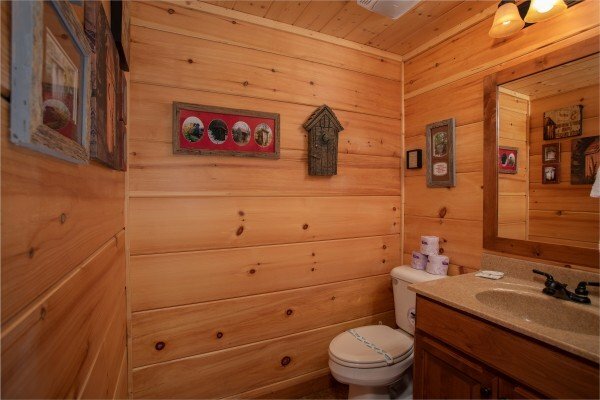 We will definitely look to rent this cabin again. Love using American Patriot Getaways, everything is clean and effortless. Thank You for making our vacation easy. We have used American Patriot Getaways many times. This cabin, as well as others, was wonderful. 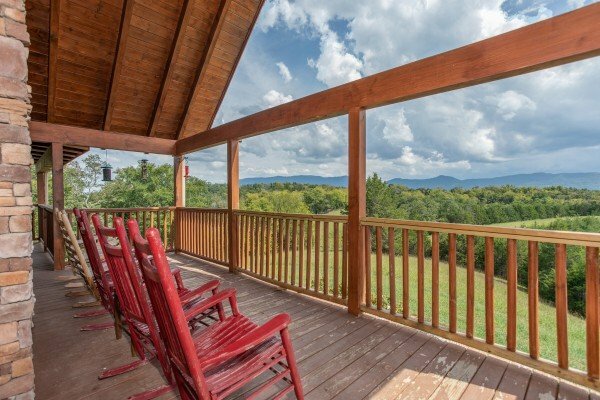 Secluded, clean, gorgeous views, decorated nicely and everything you could want. As well as loving the cabin we can't speak highly enough of American Patriotand their customer service. 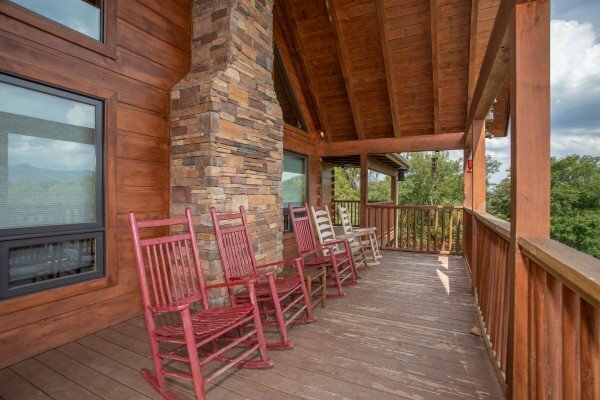 They always match us to the perfect cabin for what we need and their attention to details and customer service has made every trip to the smokey mountains amazing for us. Thank you! I think this cabin was the best yet! Due to the wildfires, the cabin that we originally booked had no power. The staff was courteous and very helpful. 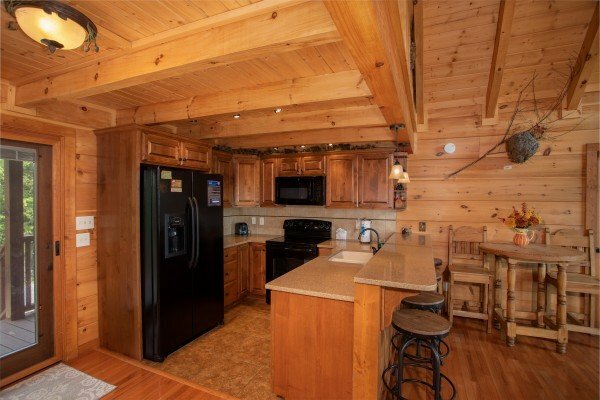 We were given the choice of two different cabins and chose Cedar Creeks. We fell in love and felt that we were actually given an "upgrade" free of charge. We will definitely be back! Our prayers continue to be with you all during this time. The Great Smokies and especially Gatlinburg and PF are our home away from home and we mourn with you the great losses. The Phoenix will rise from the ashes and be greater than ever! Absolutely loved this property. 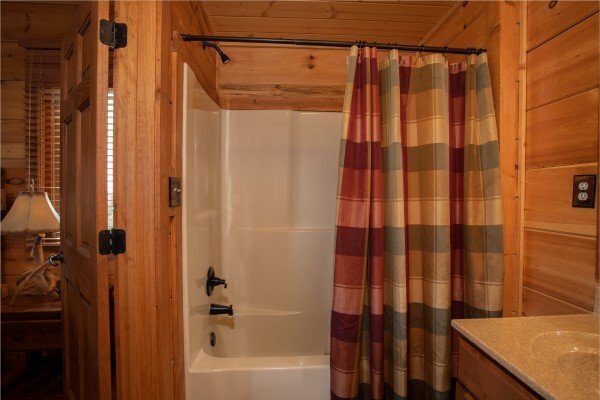 It was extremely clean and had wonderful amenities. We enjoyed hiking around the cabin with our dogs and sitting on the large covered deck during the brief rains. We will be back. 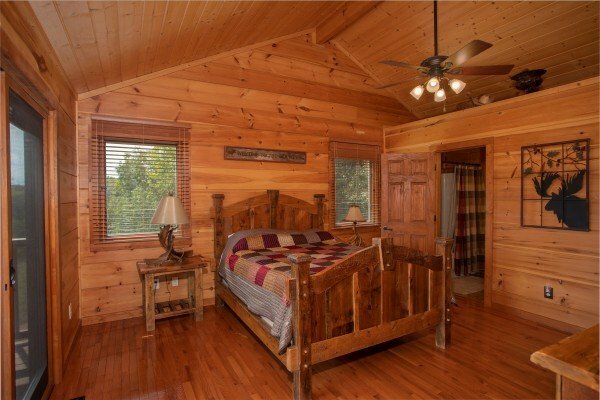 This cabin was beautiful. 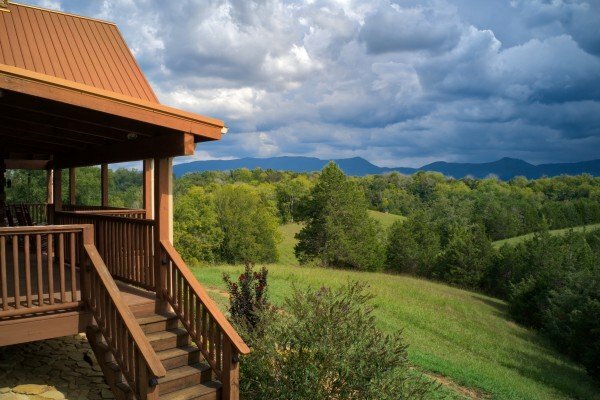 It is secluded and the view from the deck is breathtaking. A little piece of heaven! There were 4 adults & we had ample room & comfort. Enjoyed coffee on the porch & having a mountain view. The private dock might have been a little larger but hey, it was a private dock. HaI had stayed at other properties you all have managed & have NEVERhad a bad experience. Thank you very much for your attention to detail. We love APG! Thanks again for everything.